I am so excited to be writing my first post for 2017! After a little hiatus, I'm feeling a little rusty, but excited to weening myself back into it. Last year, I realized that I had a shortage of masculine birthday cards. I am making it a point to make more of them this year!! Especially now that the little ones are getting invited to birthday parties from classmates. Think it's a good idea to keep a healthy stock around. For this card today I am using Sugar Pea Designs: Spare Me stamp set. Colored with Copic markers and did some serious fussy cutting around the image. The patterned paper is an oldie but goodie from American Craft. 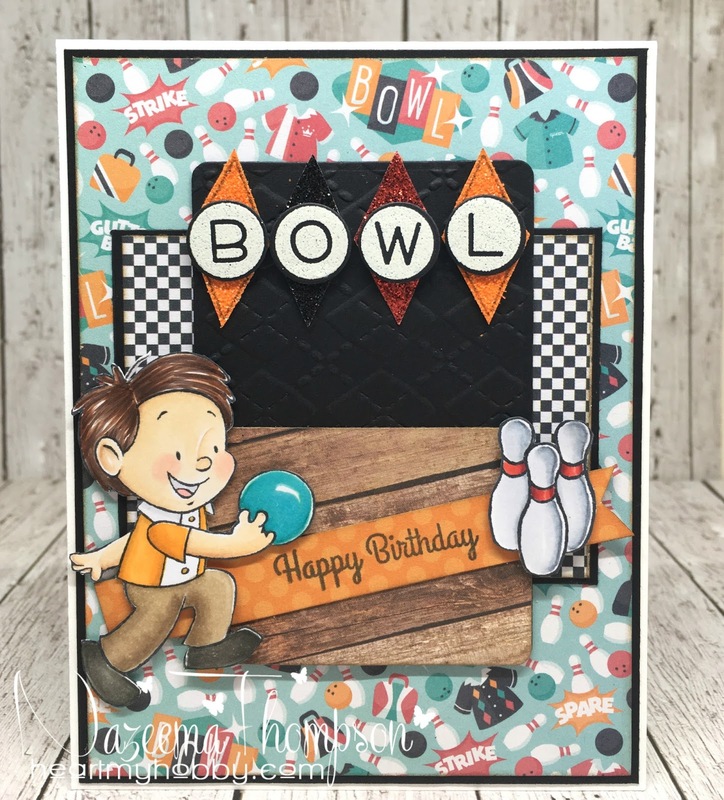 "BOWL" was created using Lawn Fawn: Owen's ABC's stamp and die. Happy new year to you, Calypso ! It´s so great to see you posting again ! Your card is amazing. The scene you´ve created is just great. And everything fits so great together. This is such an awesome scene, I just love your creativity!!! Love the retro feel and all the fun stuff to look at! WOW Nazeema this card just screams fun. So much detail. Ahmazing. Fab DP, works so well with your image.